Most people don't ask for gift cards, but they're always a popular gift choice for notoriously hard-to-shop-for people—or the time-constrained gift-giver. While most gift cards are attached to certain stores, many folks will get a prepaid Visa or MasterCard card that allows them to make purchases wherever those companies are accepted. And guess what? These gift credit cards can be turned into straight cheddar, cash, dough, moolah, money, by using Google Wallet. Thanks to Redditor ABZR, we see that you can transfer gift card balances onto you Google Wallet account just like a debit card. You can download the Google Wallet application for Android and iPhone for free. You can then add your gift card balances to your account just like you would a regular deposit. The card balance is transferred into your account and can now be used like regular money. Now, you will need Google's physical Google Wallet Card in order to access ATMs and withdraw your money—but it's free and you can order your card via the app or right here. Once you've loaded up your Wallet Balance with your gift cards, you can proceed to any ATM and withdraw your money to purchase "cash friendly" items with the card. Google doesn't charge an ATM fees, but you may still be charged by the ATM's bank itself, though. Also, you will be charged 2.9% for every transfer from a debit or credit card to your Wallet Balance, though they may run a no-fee promotion like they did last Christmas. Just keep this in mind when raking in the cash. For more information on the Google Wallet Card, click here. I just tried this. I added a $15 starbucks card to Google Wallet. It allows me to spend the $15 at starbucks, but it certainly did not add it to my google wallet balance. What the author really meant to say was..." If you upload a visa prepaid card to google wallet, you can withdrawal it from any ATM. Which would be pointless. Save yourself the 2.9% and withdraw it straight from the atm! I'm trying this, but can't figure out how to add remaining (small) prepaid VISA gift card balances to my Google Wallet. I tried the Add a Card option. But no way to "deposit or transfer" a specific amount from the card to Google Wallet. I Googled it, but can't find specific instructions. Help? Does not work anymore. 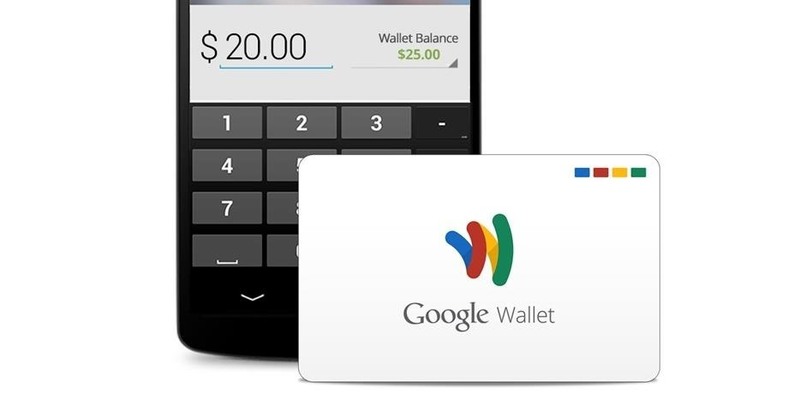 Google Wallet Card will no longer except this type of transaction. Not sure why people are saying it no longer works? Although I couldn't find it in the app, if you go to the Google Wallet website and view it "Full Size" or "Desktop View", you can click the small arrow next to the balance on the left side of the page and there is an option to add funds with a credit/debit card for a 2.9% fee. I loaded my AT&T Visa Reward card and as you enter an amount, it will calculate the fee; example $100 card = $97.19 transfer (+$2.81 fee). Then transfer to a bank account to make sure ATT doesnt end up getting back those few measly cents that are impossible to use up...which is exactly what they are hoping will happen! Does anybody have any clever tips as to how I can get cash back off of my Best Buy gift card? Thanks to you for spilling the beans about this hack.. it no longer works.